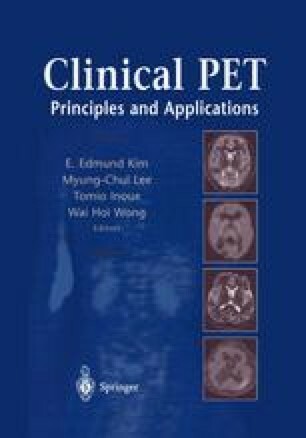 In recent years positron emission tomography (PET) has emerged as a unique imaging modality with applications in cardiology, neurology, oncology, and psychiatry due to its ability to produce accurately quantifiable images of physiologic information instead of anatomic structures. This ability, coupled with the extended PET reimbursement by major insurance carriers in the United States for a range of PET oncology studies, has further fueled the rapid increase in the clinical demand for this imaging modality. Research groups and industry strive to optimize this imaging technique. One of the very recent developments in PET imaging has been the introduction of a combined PET/computed tomography (CT) scanner. This chapter presents the reasons for this development, and discusses the advantages and artifacts presented by such imaging systems, and the impact of PET/CT on patient management as well as its applications in other areas, such as radiation treatment planning.